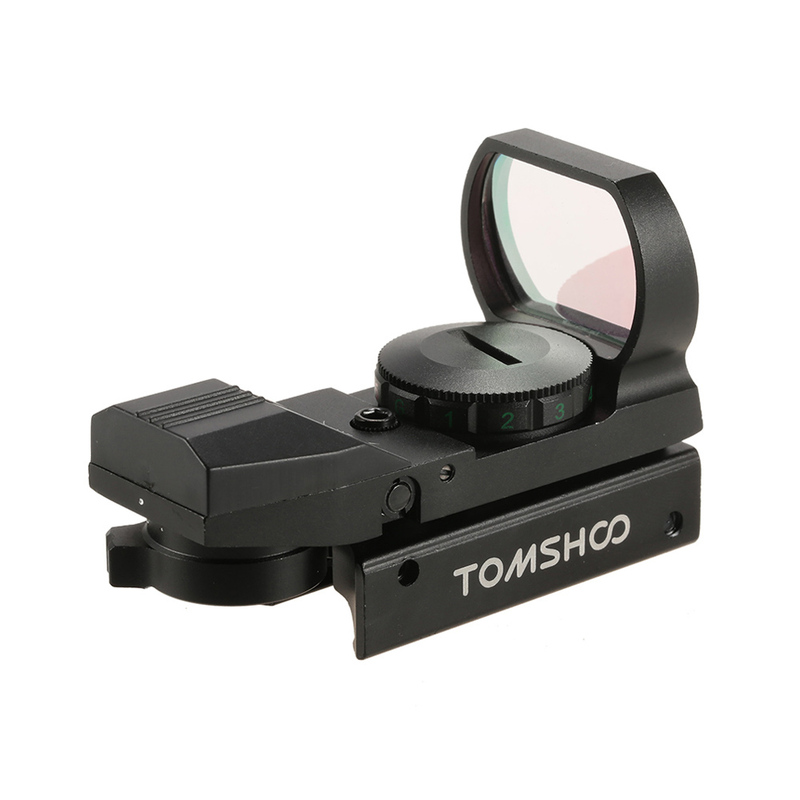 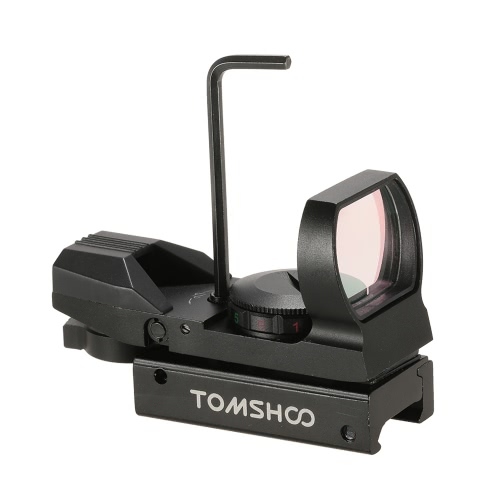 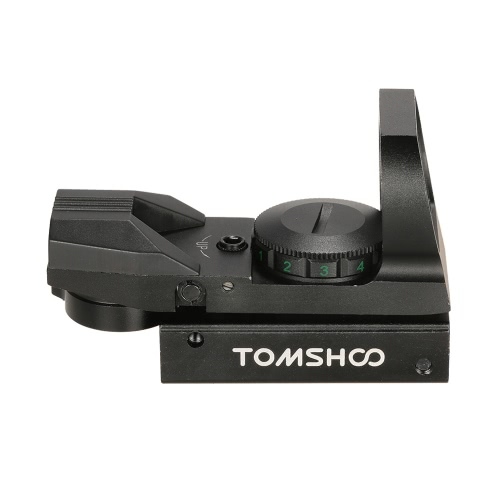 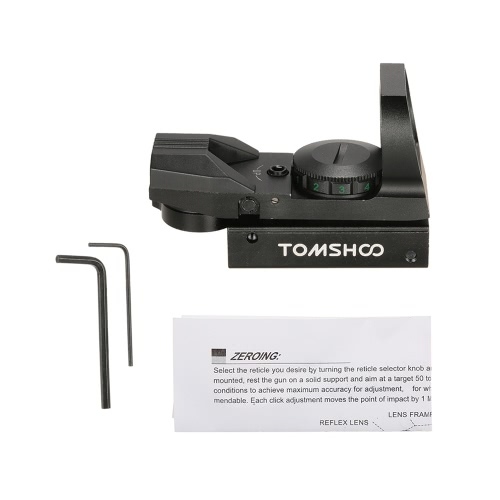 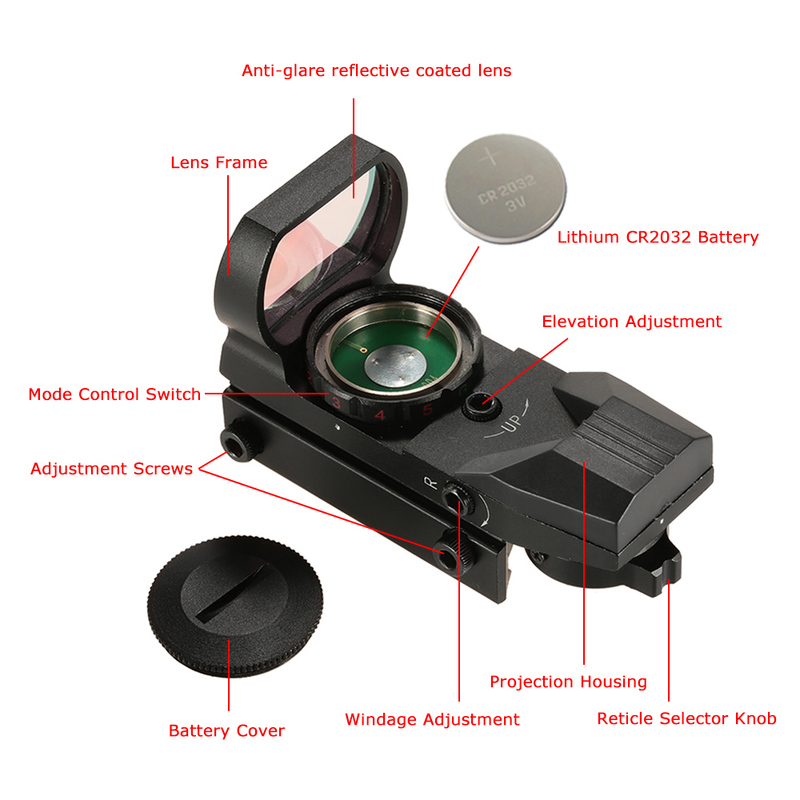 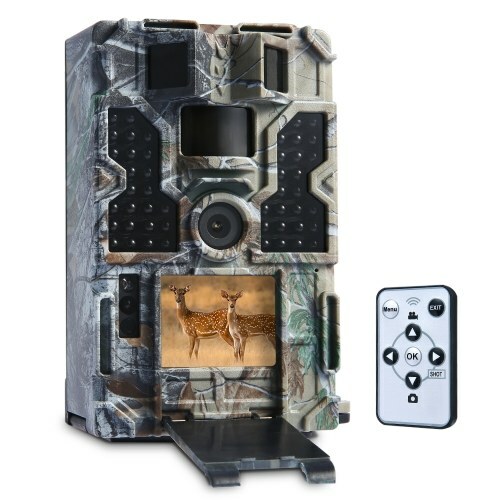 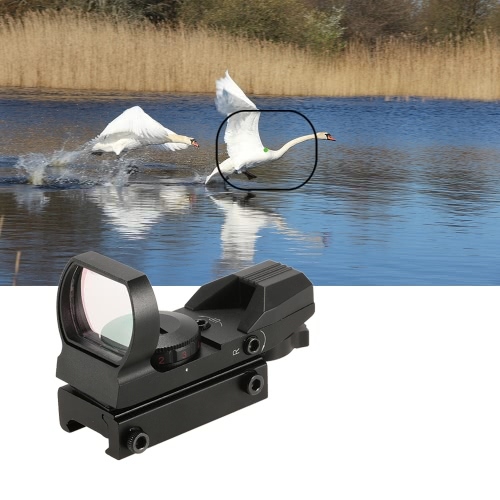 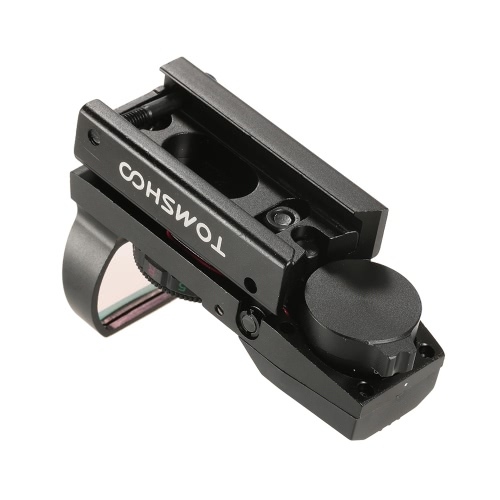 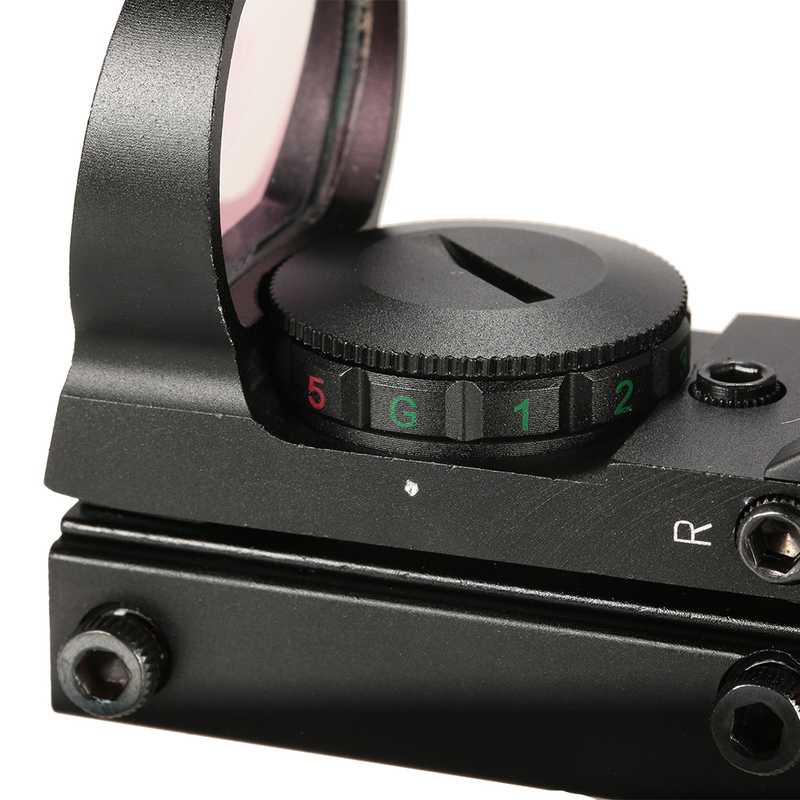 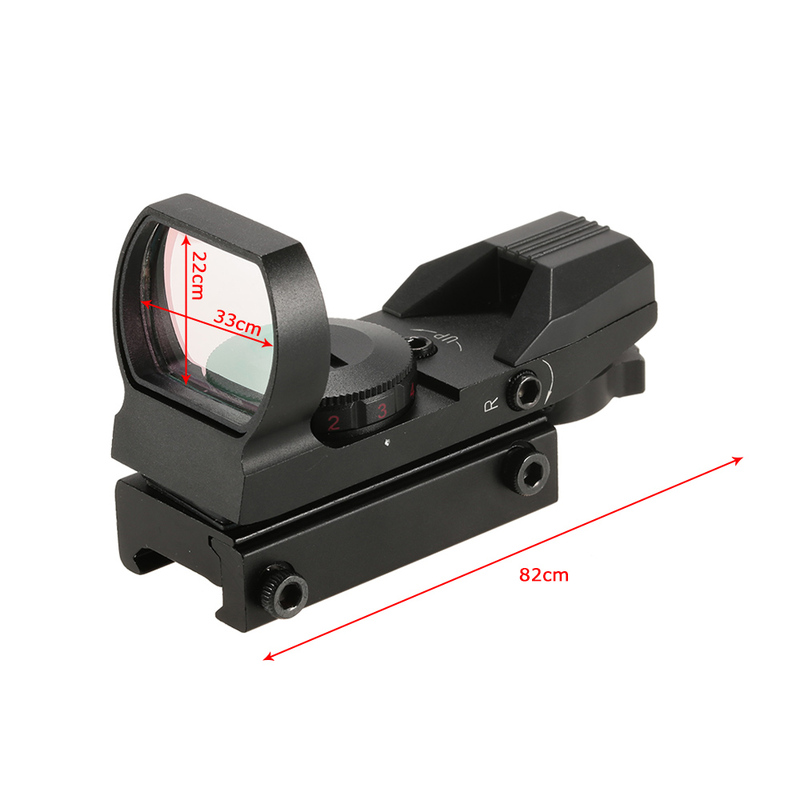 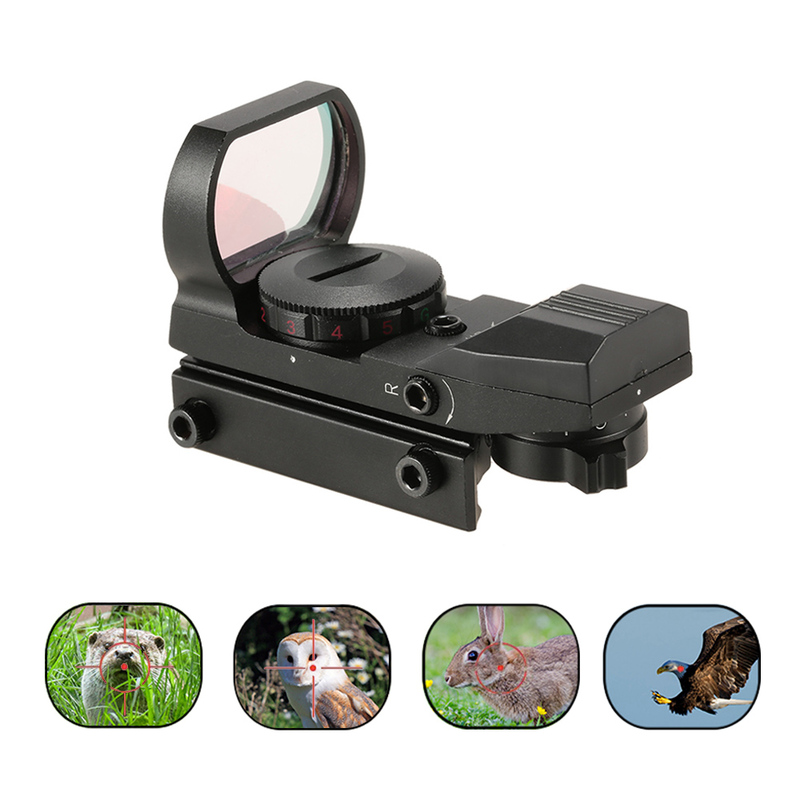 This sight scope is developed for hunting, sports shooting, military and law enforcement applications, which greatly enhances situational awareness and target acquisition speed. 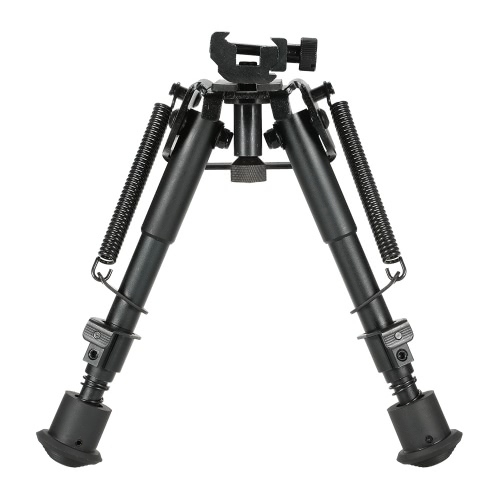 Constructed by aluminum alloy with anodized matte black finish. Anti-glare reflective coated lens that gives good optical clarity, thermoplastic Lens Cover Included. 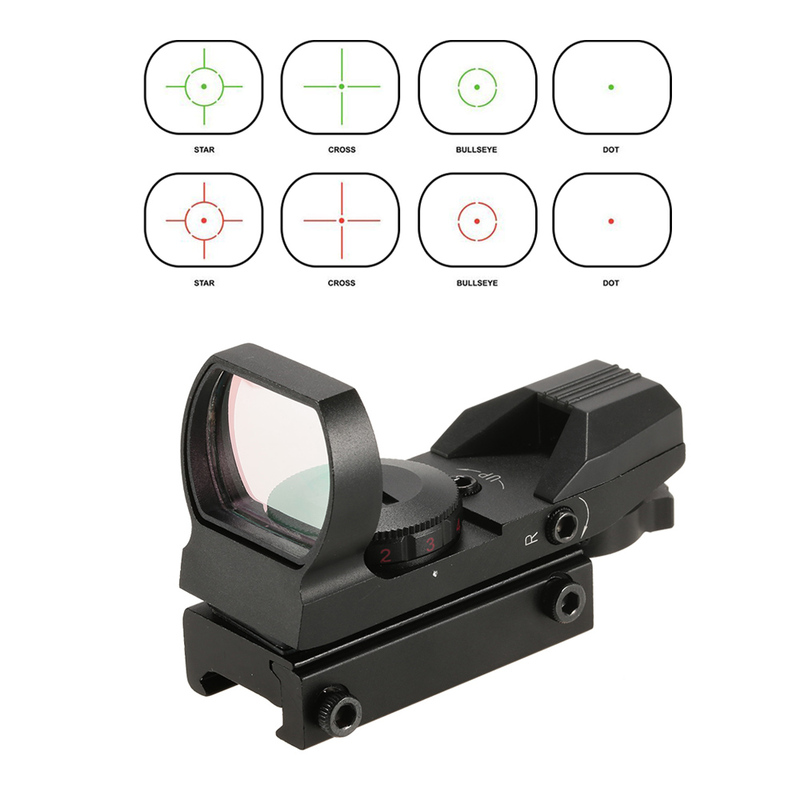 4 reticle patterns (Circle Dot, Cross, 10 MOA & 3 MOA) for eye-relief and corrected parallax. 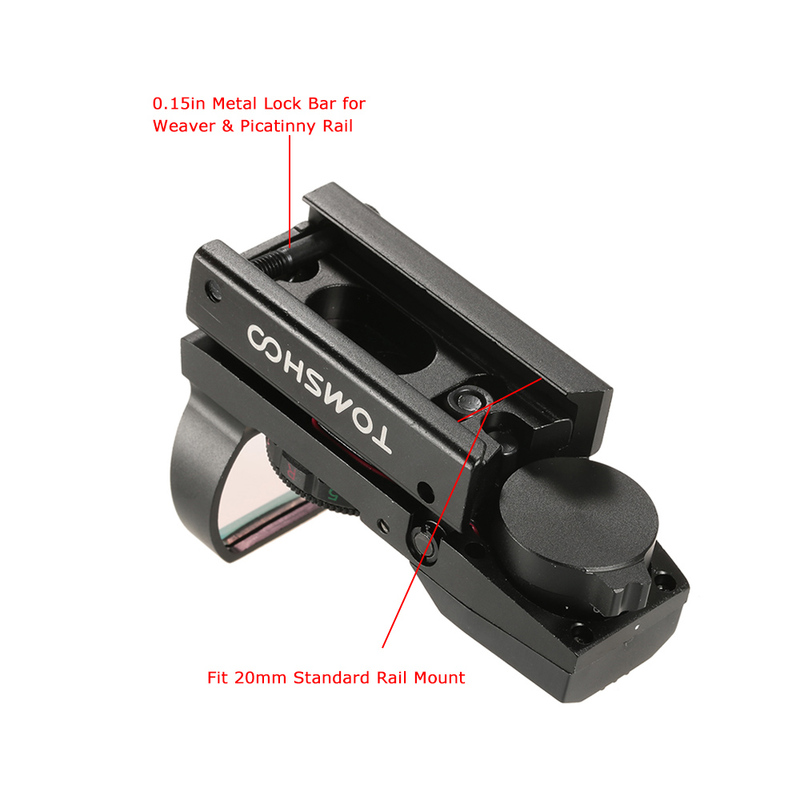 With integrated mount for most 20mm Weaver/Picatinny/RIS rail.